This Mobile Binary Code review is about the trading system of MBC Capital. 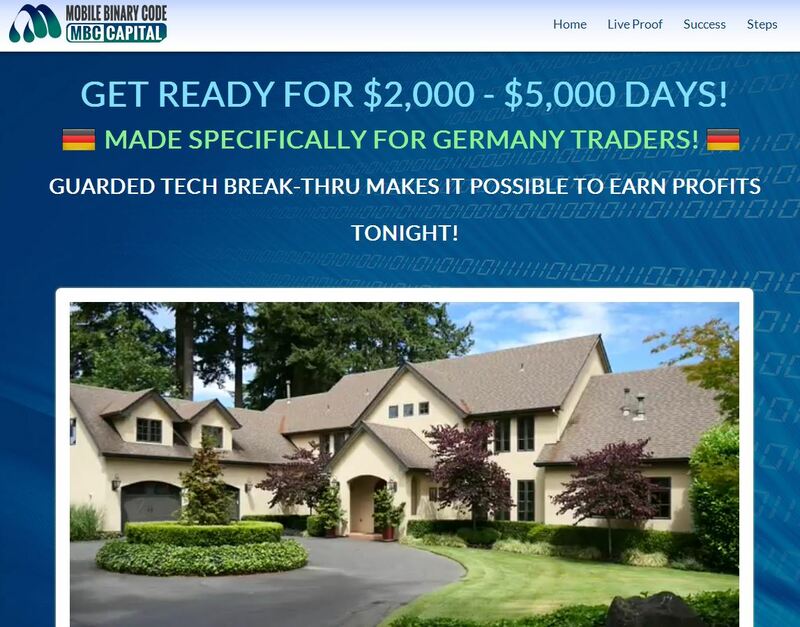 It is a binary options scam presented by Howard Kessler. Kessler claims to be a manager of the private fund MBC Capital. 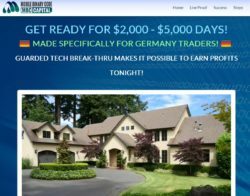 Now his company is offering a binary options trading software called Mobile Binary Code that allegedly has no losing trades. This program can allegedly make you $2,000 – $5,000 per day. And you of course can get it for free, because becoming a millionaire is always free, right? Binary options scammers are incredibly daring, the Mobile Binary Code is a proof of that. Why? Because Howard Kessler, or rather the actor playing the role of this fictitious person, is a well-known scammer. This guy played the role of the CEO of Virtnext and also the role of the CEO Larry Landers of Profits Unlimiteds. Both are absolute scams. Just check our reviews and the picture on the right. It’s really incredible, this guy obviously has no conscience whatsoever. In the Mobile Binary Code presentation you can see a lot of testimonials. People are telling their stories and show some trading results, by they are all fake. Just as Kessler they are all paid actors, nothing more. Take a look at the picture, you can see that they also used stock photos. The stories are absolutely fake. And you can also check Forbes, CNN Money and the Wall Street Journal to see that they have never mentioned Mobile Binary Code or MBC Capital. Simply because Kessler’s company does not exist and because it is a scam. There is a lot of things that prove that Mobile Binary Code is a scam, but we’ll close this review by one of the biggest. We tested the software that you will be given by MBC Capital, the one that is supposed to make you a lot of money. No great surprise here, it is an app developed and used by scammers only, we’ve seen it used by many scams like The Profit Hack or Pure Profits. This software loses money in binary options trading, we have a lot of feedback about it. So what is the Mobile Binary Code about? People who created it are affiliated with unregulated binary options brokers and are getting paid for referring new depositing clients to these brokers. So to convince you to deposit money with their broker to earn them an affiliate commission they made up their story about a miraculous software. That’s all. So if you sign up, deposit money and trade with their app, you will earn them their commission and lose your own money. The conclusion of this Mobile Binary Code review is obvious, it is an ordinary scam that will lose you money if you sign up for it. Binary options got abused again. Forget about free apps making you money. Profits with binary options are possible only if you learn how to trade and build a profitable strategy. You can try to do that on free demo and see if you would be able to make money if you decide to invest real money at a later stage.